The day has come. Another history of the world is created. 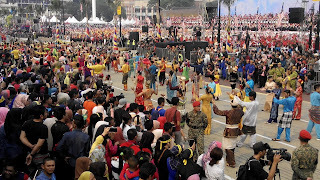 This is the day the ASEAN Community is established, comprising of 625 million peoples from 10 Member States of ASEAN. 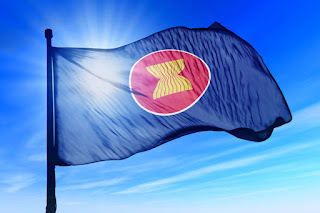 It is a result of the Kuala Lumpur Declaration on the Establishment of the ASEAN Community signed by all Heads of State and Government of ASEAN on 22 November 2015 in Kuala Lumpur. From this day forward, everyone becoming a citizen of an ASEAN Member State will be a part of the ASEAN Community, working for peace and prosperity by all means. Every people and institution existed in ASEAN will play their roles in promoting the ASEAN Community and its uniqueness to the present world. Education, according to Syed Muhammad Naquib al-Attas, is a process of instilling something into human beings. ‘Something’ has a wide meaning, depending to someone’s view. However, ‘something’, in this article, could be the knowledge and virtue. To be clear, education is a journey taken by someone to seek knowledge and inculcate virtue. Education is the most crucial part of the society. A society is established and developed because of its systematic education. Education makes such society successful as it provides them a clear guideline towards a true and strong religious and philosophical belief as well as an effective and efficient political, economical and sociocultural framework. Consequently, such society becomes strong, peaceful and prosperous. 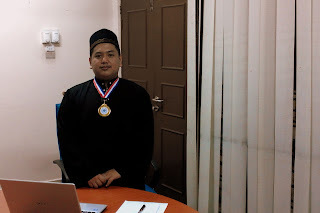 Saya ambil kesempatan ini untuk mengucapkan setinggi-tinggi tahniah kepada semua Presiden dan ahli kesemua 19 Jawatankuasa Perwakilan Kolej Kediaman (MRC) Universiti Islam Antarabangsa Malaysia (UIAM) Kampus Gombak dan Kuantan atas kejayaan semua membawa Mahallah masing-masing ke pentas kejayaan yang berikutnya. Kejayaan ini suatu pencapaian yang harus disyukuri oleh semua pihak, sama ada di peringkat kolej kediaman mahupun di peringkat Universiti secara umumnya. 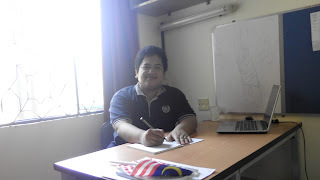 Saya ambil kesempatan yang sama untuk berkongsi rasa syukur saya dengan semua Presiden MRC UIAM Kampus Gombak atas kejayaan kita menggerakkan Jawatankuasa Penyelaras Wakil-wakil Kolej Kediaman (MRCC) UIAM Kampus Gombak sepanjang tahun 2015. 311 days ago, the Principal dissolved Mahallah Representative Committee (MRC) 2014 and, hence, established MRC 2015. That was the day MRC comprises of all newbies. No previous MRC member remained. That was the day I become the President. That was also the day I address our Mahallah at the first time on that capacity and, at the same time, present my planning for the whole tenure of appointment, which is now our Strategic Plan. To be frank, it’s not easy for me to be the President. To my knowledge, no one felt me – but those who are really know and understand me, and those becoming the President, Chairman or Chief Executive of other bodies – because you are not the President. If my members think that duties given to them burdened them, I need to tell this Meeting that: The President felt the burden more than the other members did. 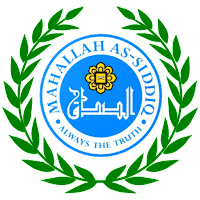 All praises be for Allah SWT for giving us the strength and opportunity to serve and contribute to this University, particularly Mahallah as-Siddiq, throughout 2015. With these strength and opportunity, our officials are able to work tirelessly in providing quality services and accessible amenities to all peoples of our Mahallah. With these strength and opportunity, our officials continue dedicating themselves to the residents in ease and hardship. They meant their residents very much. With these strength and opportunity, our Mahallah is able to organise 13 activities throughout 2015. With these strength and opportunity, our Mahallah made significant achievements and contributions throughout 2015 without telling the others. With these strength and opportunity, our Mahallah has been a unique one at the time only some of us knows the uniqueness of this Mahallah for this University.